A recent study has found that exposure to bisphenol-A or BPA can worsen symptoms of inflammatory bowel disease or IBD. BPA exists in polycarbonate plastics that are often used in making containers to store food and beverages, such as water bottles. The research was done by a team from Texas A&M. IBD is a complex collection of diseases that include ulcerative colitis and Crohn’s disease. The condition is related to chronic inflammations of the digestive tract. The symptoms of the disease include severe diarrhea, abdominal pain, fatigue, and weight loss. The number of IBD is increasing, especially in countries that become more industrialized. Previously, scientists have found that environmental exposures such as smokings, diets, infections, altered gut microbiome, and pollutants may increase the risk of the disease. It has shown that hormone estrogen has been linked to an increased risk of IBD. BPA may act like estrogen and increase the risk of IBD. In addition, BPA may also alter gut microbes similarly to the way the gut microbiota is altered in IBD patients. In this study, the researchers examined the effects of BPA exposure in a pre-clinical model using mice with IBD. They tested the ability of BPA to exacerbate colonic inflammation and alter microbiota metabolites. The researchers found that exposure to BPA increased the levels of compounds that drive inflammation in the colon. In addition, BPA reduced levels of compounds produced by gut bacteria from the breakdown of protein. The results showed BPA exposure could increase mortality and worsened disease symptoms when compared to untreated groups. These compounds are related to serotonin production and breakdown, and their reduction has been linked with higher risk of IBD. 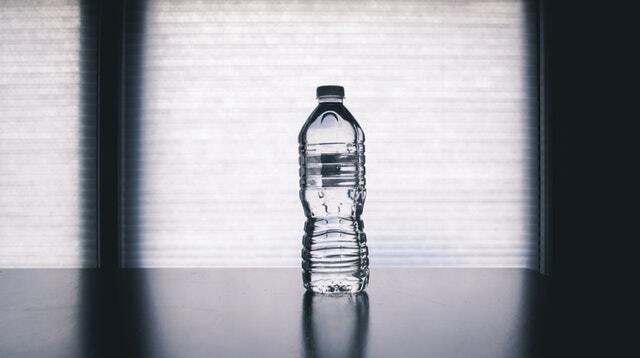 The researchers suggest that BPA in daily products like plastic water bottles could pose a health risk to people’s health. The finding shows people need to better understand how things in the environment influence the risk of diseases like IBD. This is the first study showing that BPA could negatively impact gut microbial amino acid metabolism in a way that has been linked to irritable bowel disease. The study lead author is Jennifer DeLuca. The study is published in Experimental Biology and Medicine. Copyright © 2019 Knowridge Science Report. All rights reserved. Click HERE to original article. Super LOW, LOW Monthly Rate For My Readers!!! Posted on 28 Feb 2019 by NationalAddictionNewsPosted in addiction, BPA, health, Health DangersTagged bisphenol A, BPA, dangers of plastic, gut health, IBD, inflammation of colon, Jennifer DeLuca, plastic water bottles, Water. Next Next post: Did you know that turmeric is just as effective as 14 pharmaceutical drugs?